Counting On spoilers suggests Jana Duggar has big news to reveal. Fans are quick to assume that she is in a courtship. 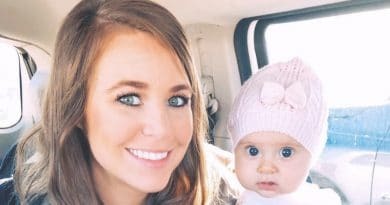 Jana is the oldest Duggar daughter. 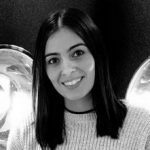 Many of her younger siblings have already got married and starting their own families. However, Jana is still waiting for her Prince Charming. Counting On spoilers have shown that Jana Duggar has not had the best luck when it comes to courtships. Her rumored ex-boyfriend, Caleb Williams was arrested for sexual abuse back in November. However, recent events show that she may have another suitor. When most people join Instagram it is usually not that big of a deal. However, when a Duggar in the past has joined Instagram, it usually means they have a big announcement. A fan pointed out that every time one of the Counting On girls joined IG they announced that they are in a courtship. Jana’s younger sister Jessa Duggar laughed at this observation. She insisted that it is just merely a coincidence. It’s not a prerequisite for a Duggar to belong to Instagram when they enter a courtship. It may just be a coincidence, but Jana created an Instagram program while rumors of her entering a courtship circled the internet. The Counting On star recently joined Instagram and has been getting flirty comments from family friend Lawson Bates. These comments sparked a lot of rumors online that the two were a couple. Did Jana really join Instagram to let everyone know she is off the market? In the sneak peek of the upcoming season of TLC’s Counting On producers let the family know that someone in their family has some big news to tell. Many of the family members were very confused. Joy Anna asked in confusion “what do you mean?” Jessa Duggar and Ben Seewald look at each other baffled. Younger sister, Jordyn also looked very puzzled. It is clear that no one in the family has a clue what this announcement could be. When it comes to Jana, there was no confusion on her face. The producer tells her that her brother James made it seem like she has something big to announce. Jana’s response was a laugh and a smile. By the look on her face she definitely has something to tell her family. Will she confirm that she is indeed in a courtship? Despite the frisky comments Lawson Bates leaves on Jana’s Instagram posts the two are not in a courtship. The Counting On celeb recently took to Instagram to let her fans know that her and Lawson Bates are just friends. This led fans to wonder who Jana is in a courtship with if it is not Lawson. Some fans are still convinced that there will be a courtship announcement coming soon. The Counting On star’s sister, Jessa, recently confirmed what she knew on Instagram. She stated that her sister is not in a relationship. 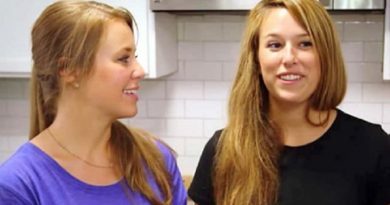 Jessa Duggar made it clear that her sister is indeed still single. However, with the release of the new season teaser there is a chance that Jana is in a courtship and her sisters don’t even know about it. Therefore, Jessa is just assuming her sister is still single because she hasn’t been told otherwise. Is Jana in a courtship — or does she have an even bigger announcement to make? Find out on the new season of Counting On on TLC starting February 11. Check out Soap Dirt daily for all the latest Counting On spoilers and more news.